It seems to me that many people are currently in crisis over the fact that we have a weak pound due to the exchange rate plummeting again last week – and I don’t blame them. We are currently in the depths of uncertainty after the result of Brexit and the resignation of the Prime Minister David Cameron, and now various other states/countries are questioning whether or not they should have their own independence. I’m not here to explain to you how or why the pound has dropped, there are a wealth of experts to tell you that. But I’m here to try and provide you with a brighter note, and explain how we can benefit from a weak pound. I’m not looking at this with rose tinted glasses, I know that there is a lot of negative impact that the weakening of the pound has, but we all could do with some positive thinking every now and again. This article will look at two key areas that provide the UK with income: exports and tourism. Of course this isn’t the limit to the benefits of a weak pound, but they are two main areas that provide the economy with a solid income. The first way in which we can benefit the cheaper pound is the exportation side of the market. The manufacturing industry accounts for 18% of GDP and exports are now a lot cheaper in ‘global terms.’ With a weak pound, businesses exporting internationally should see a rise in their profitability. Before the major drop in the summer spurred on by Brexit, business manufacturers were feeling a slowdown in their factories due to the strength of the pound. This was because new and existing clients who would usually buy from the UK could find it cheaper elsewhere and therefore the competition with other countries was much tougher. The largest export we have in this country is now cars. The UK currently sells $46 billion cars to countries abroad every year. This means the UK car manufacturing industry is more profitable as the pound has weakened. This is because our prices will be cheaper to other countries as their currencies go further in how much they get for their buck. Manufacturers such as Jaguar and Land Rover can make more progress against their German competition such as BMW and Lexus and possibly cement themselves in a higher position for the future. Another example in addition to car exports is our biggest net export – Scotch Whisky. This is now a lot cheaper than Brandy or Bourbon. We could see a rise in profits of Scotch not only because it is cheaper to export, but also because it is cheaper for other countries to purchase than other high-end spirits, which has eliminated some of our competition. People argue that even though exportation will see profit, imports will cost us much more. This is true, but there is even a benefit to this. With high import costs, the UK consumers may be more encouraged and likely to purchase goods made in the UK. This, therefore, increases the UK aggregate demand and benefits the country. When the UK left the ERM in 1992 there was a rise of aggregate demand and furthermore, the depreciation of the pound helped the economy to recover as more people were buying goods from this country and the need to import decreased somewhat. Aside from the benefits to exportation, there is also benefit to our economy from travel and tourism. 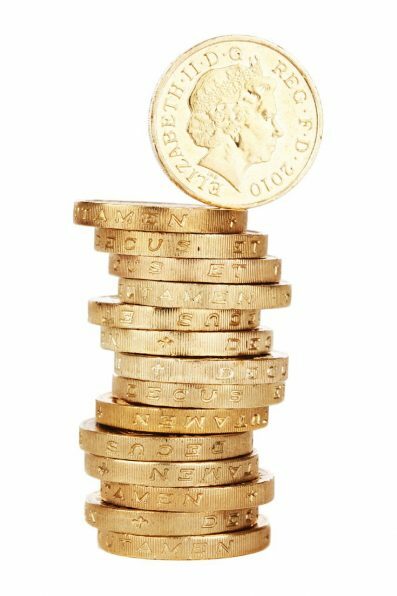 British leisure, exchange, and tour companies could all benefit to a weak pound. Tourism already brings the UK a lot of money, supporting many towns and businesses across the UK. It plays a big part in our own seaside town – Bournemouth. The drop in the exchange rate will see tourists get more pounds for their money when travelling from abroad to spend here. It will also see the prices of hotels and restaurants drop, therefore making the overall cost of the holiday/travel experience decrease. The Financial Times states that ‘The shrinking value of the pound against the euro and dollar represents an opportunity for domestic leisure companies’. This is an opportunity they should exploit by reviewing the new exchange rate, implementing new prices that mean their overseas customers are still paying the same as before, but they as a company are making more profit. We can see an example of the effect of the lower exchange rate on tourism in 2014. We saw the dollar drop from around $1.71 to £1 to approximately $1.55 from early July to the end of December. This rate kept falling in 2015 until it reached $1.46. Bearing this in mind, the UK’s Office for National Statistics shows that in 2015, the number of international visits increased by over 5% compared to 2014. Furthermore, the media giving this drop all the international coverage is increasing the number of people who are considering coming to the UK for a cheap break. This is making it well known that it is currently a fantastic time for people from other countries to visit the UK because everything is cheaper. The Independent says that retail sales seem to have had a nice little boost since the referendum due to an influx of tourists. If you have any thoughts on this article, please feel free to leave a comment in the comments section. The attention given at all levels including gaining an understanding of my business and the initial selection and offering of potential candidates stands above all other agencies I have dealt with. I’ve been delighted with the service from Tiffany, she only sends us quality candidates and manages the recruitment process very professionally. I couldn’t recommend Dovetail enough! I’ve had experience with lots of agencies, but Dovetail are by far the best! They go above and beyond your expectations to help you find the right job. I worked directly with Samantha, and she was great, checking up on me through every step of the process. I highly recommend. Thank you so much for your help. I want to put on record that Dovetail Recruitment are by far the most professional agency I have dealt with. You truly do seem like you care. Keep up the good work. I’ve been really impressed by the approach yourself and Laura have taken with the sales role, and by your service levels. Thanks so much to Liz and her team for finding me such an awesome job! Monday morning blues are a thing of the past. 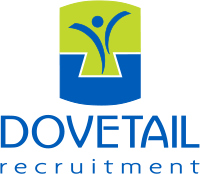 I have used Dovetail Recruitment for a good while now and I would not hesitate to recommend them to any candidate or business. They go above and beyond to find you the perfect candidate and I am always very impressed with their level of service and professionalism. Look no further if you’re looking for a recruitment agency that will find you the right staff. We are a very busy company and I trust Liz’s judgement in finding the right calibre candidates to enable us to move our business forward and to do it swiftly and efficiently.